Cloud Dance Festival | Avâtara Ayuso - What's Next? I don't remember how or when I first heard about Avatâra Ayuso, however it was Donald Hutera who first introduced me to her at a post-show party at Sadler's Wells in 2011. I spent the next several years with her in mind when trying to find a suitable venue for Cloud Dance Festival, and the first thing I did after meeting with Bernie Grant Arts Centre in 2013 was to email her excitedly to say that I'd finally found a venue large enough to show her work. Avatâra is well-known as one of the leading dancers for Shobana Jeyasingh, who she has danced for since 2007, resulting in a nomination for Emerging Artist as both dancer and choreographer at the 2015 National Dance Awards. Donald Hutera has described her as ‘a fierce mover, while Luke Jennings, dance critic for the Observer, described her as ‘a compelling performer’. Her ballet training began at Majorca's dance conservatory aged 7, however a tumour in the bone of her left leg put an end to her plans for a career in ballet at the age of 20, and diverted her towards tango and improvisation, providing her with key skills which influenced her contemporary dance training in London, followed by the D.A.N.C.E. 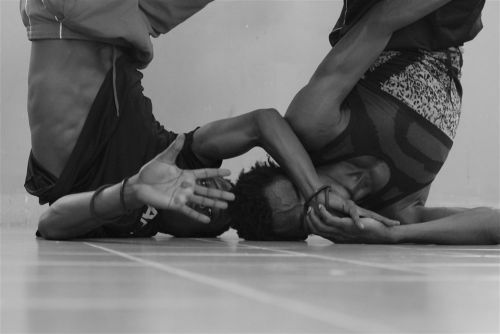 (Dance Apprentice Network aCross Europe) scheme, a two-year programme where she worked and performed internationally under the artistic direction of William Forsythe, Wayne McGregor, Frédéric Flamand and Angelin Preljocaj. Although Avatâra then embarked on her career as a dancer, it was thanks to that experience of being next to these masters of choreography that she found that she wanted to develop that side of herself, and in 2008 she established her own dance company, AVA Dance Company, between London and Dresden, which would allow her to collaborate with some of the artists she encountered, to create new projects and share ideas with these collaborators, ranging from dramaturgs, composers and designers to poets, architects and even anthropologists. Collaboration has always been a driving force behind her works, as she's adamant that she doesn't like working in isolation, and through choreography, she's been able to find ways to work with people she admires, whether as artists or thinkers. Through the support of European Center for the Arts Hellerau Dresden, where she has been an Associate Artist since 2010, and the influence of her collaborators over the years, she has developed into a mature, confident, intelligent and very creative midscale choreographer who continues to push herself artistically and collaboratively. Although her works - her website lists 28 productions to date - have not been performed frequently in this country, the few performances to date have made a deep and lasting impression on those who've seen them: Morag Deyes MBE, Artistic Director of Dance Base, and Avatâra's mentor through Dance UK's mentorship scheme, feels that ‘Avatâra has a sense of technique and musicality that takes her work beyond some of the less accomplished contemporary dance I see these days,’ while Janet Smith MBE, Principal and Artistic Director of the Northern School of Contemporary Dance (NSCD), described Avatâra's work as ‘highly physical, visceral and technically challenging.’ Asked to describe Avatâra's work in a nutshell, Donald Hutera replied with ‘Complicated but clarifying, representative of thinking outside the box, with an artfully bold sense of attack and a heightened state of drama.’ Luke Jennings pointed out that ‘she's straightforwardly more intelligent than most choreographers around, and I don't just mean as cerebral and smart: she lives in the world, she's aware of what's going on’, in a way that distinguishes her from many choreographers around. 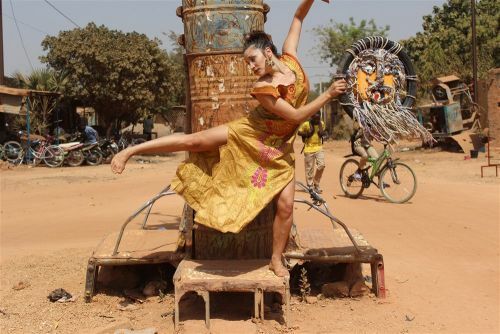 Her work has literally taken her around the world, with performances, projects and commissions in Germany, Belgium, France, Spain, Denmark, the UK, Croatia, China, Azerbaijan, Taiwan and most recently, in Senegal, Burkina Faso, Japan, Malta and Morocco. Donald Hutera feels she can handle much bigger projects than the UK dance scene has seen from her or thus far provided for her, both in terms of scale and numbers of dancers: usually she works with between 7 and 15 dancers, but she's regularly worked with over 25 dancers, comparable in scale to Crystal Pite, whose work 'Human Flight' for the Royal Ballet on 32 dancers has recently premiered at the Royal Opera House. And the comparison doesn't stop there: in several of Avatâra's works, I've noticed a similarity of style in the precision and distinctiveness of some of her movements, particularly gestural work, but in a way which is uniquely her own, whether in 2014's Provisional Landscapes, a work for five masked dancers, or 2015's Evidencia, her first work using pointe shoes. Many of her recent commissions have been through schools around Europe, offering her the chance to continue working with larger casts of dancers, as well as teaching and helping her to nurture the next generation of dancers. She genuinely loves working with large casts of dancers, and the challenges of drawing the best out of every single person while inspiring them and to helping them to see her vision for the piece, and to engage with her in the creative process. An example of this is her first UK commission, 'A Brief History Of The World In 3 Acts', for the NSCD graduate performances in 2015, which was selected by Sadler’s Wells to be performed at Latitude Festival. 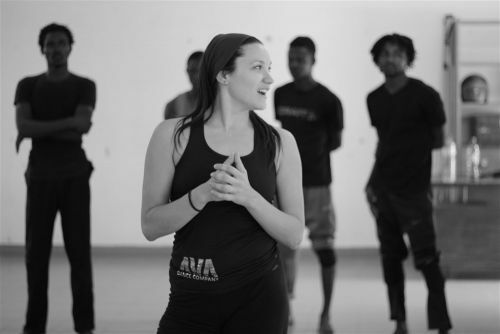 Empowering women has been a key area of Avatâra's work, not only being an active and vocal contributor to the erstwhile gender debate, but also actively seeking ways to empower women, both in the dance world and beyond. In her words, ‘I am a woman and any unfair situation towards women in any field affects me. I would take any opportunity that I have to help other women to expand and get confident — I feel that’s a responsibility that I have’, while in her artistic work, it can be seen it in the way she treats the female body. ‘The female body is a strong body on stage, it is not an apologetic body. It might be subtle, sensual, but it as strong as a male body, and I don’t differentiate.’ A current year-long project she's working on is in Dresden with refugee women from Syria, Libya and Eritrea, with women who are vulnerable because they're isolated through language, social and other barriers. Part of Avatâra's work is to help them to revisit the skills they had when still in their countries, to teach other women, and to share these skills. When asked about future roles for Avatâra, the responses were fairly consistent: Andrew Hurst replied ‘I suspect anything she turns her mind to!’; Luke Jennings's verdict was ‘I think she is, by nature, somebody who should be doing something big,’ while Morag Deyes added ‘she is capable of Great Things’. Everyone I spoke to raised Avatâra's leadership skills and how she could use them, drawing on her nine years of directing her own company and her other leadership work and training over the years - including having been part of the Clore Leadership's Emerging Leaders programme. The question is, how and where? There isn't exactly an abundance of dance companies seeking new artistic directors, and setting AVA Dance Company up as a full-time company has never been a goal of hers. 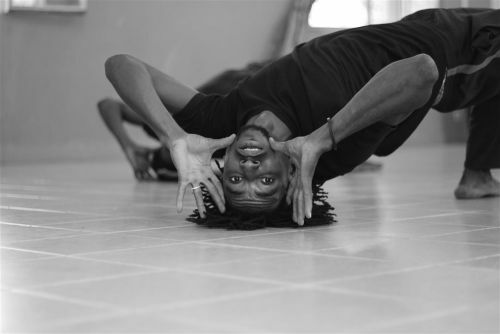 Until recently, there has been a clear geographic division in her practice: her dancing career, leadership training and activism has taken place in the UK, and her choreographic work across the rest of the world. However, she has such a huge amount to offer as a significant choreographic voice, a passionate advocate for artists and for women, with a breadth of international experience and connections and with a drive we see in only a few people - seemingly all being female artistic directors - she would be a huge asset wherever she goes, but I can't help but feel that despite the limited support her choreography has received so far in this country, this country's dance industry would benefit enormously from her expertise and all she has to offer. But if she receives a better offer from a company based in another country, then so be it. 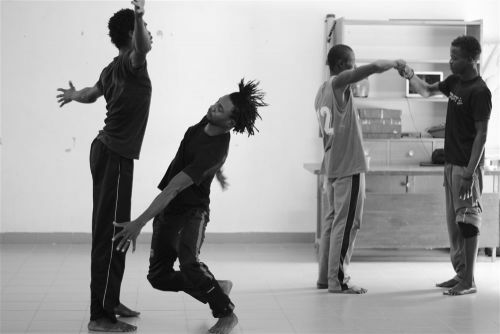 All photos were taken by Margo Tamizé during Avatâra’s recent residency in Burkina Faso. Many thanks to Luke Jennings, Janet Smith MBE, Morag Deyes MBE, Donald Hutera, Andrew Hurst, Helen Laws and Estela Merlos for their contributions, to Isaac Ouro-Gnao for his collaboration, and to Elise Nuding for her transcription skills.